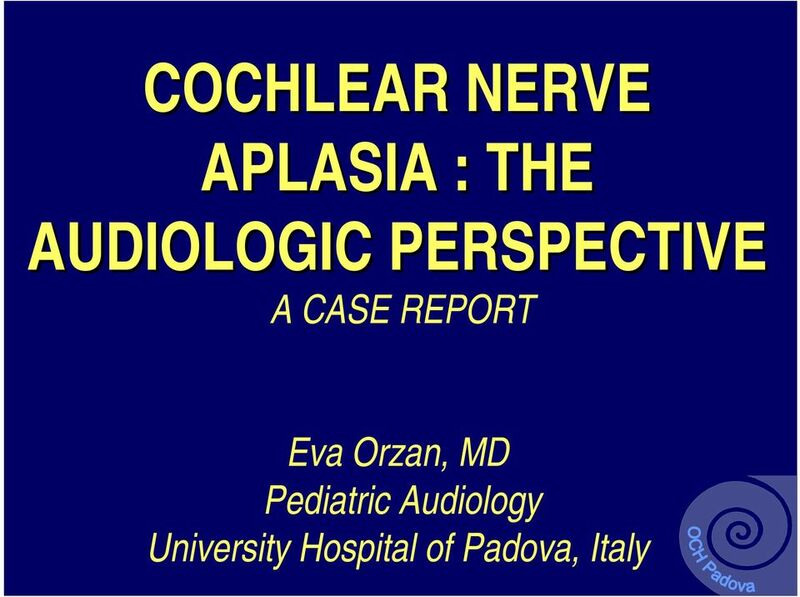 Download "COCHLEAR NERVE APLASIA : THE AUDIOLOGIC PERSPECTIVE A CASE REPORT. 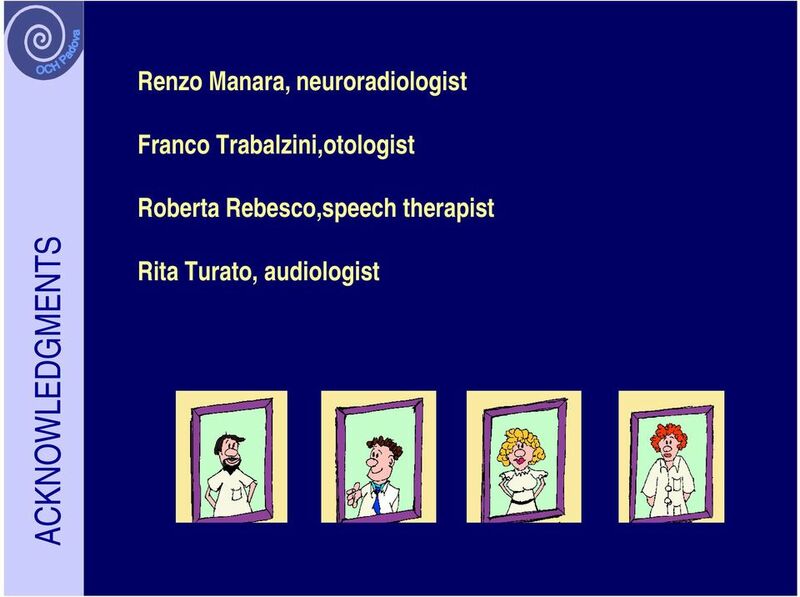 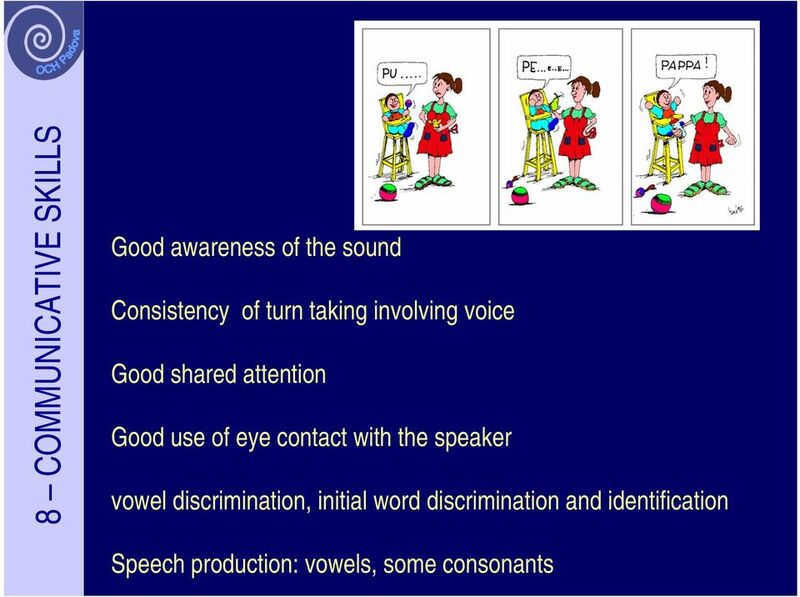 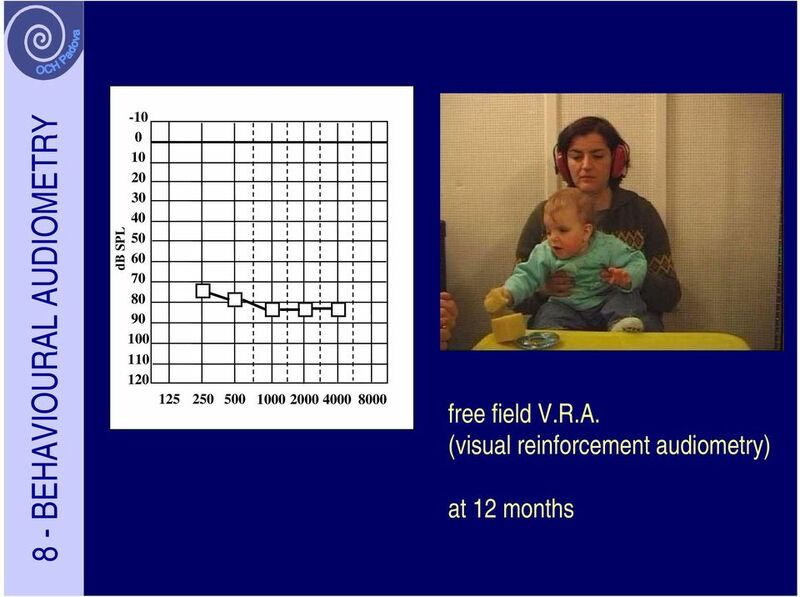 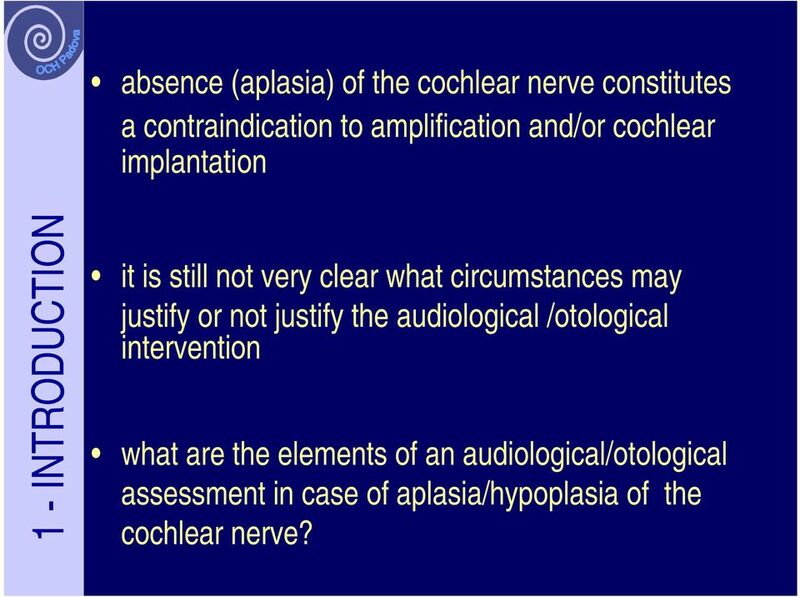 Eva Orzan, MD Pediatric Audiology University Hospital of Padova, Italy"
3 absence (aplasia) of the cochlear nerve constitutes a contraindication to amplification and/or cochlear implantation 1 - INTRODUCTION it is still not very clear what circumstances may justify or not justify the audiological /otological intervention what are the elements of an audiological/otological assessment in case of aplasia/hypoplasia of the cochlear nerve? 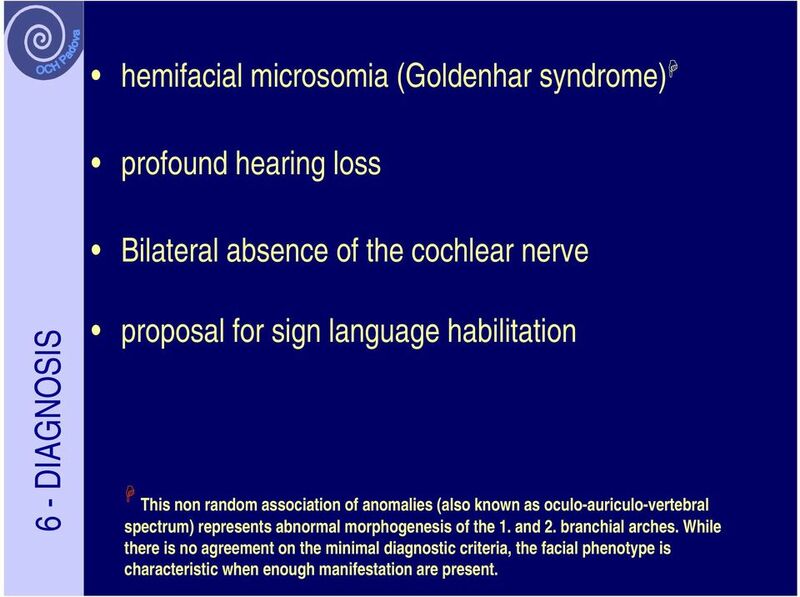 9 hemifacial microsomia (Goldenhar syndrome) profound hearing loss Bilateral absence of the cochlear nerve 6 - DIAGNOSIS proposal for sign language habilitation This non random association of anomalies (also known as oculo-auriculo-vertebral spectrum) represents abnormal morphogenesis of the 1. and 2. branchial arches. 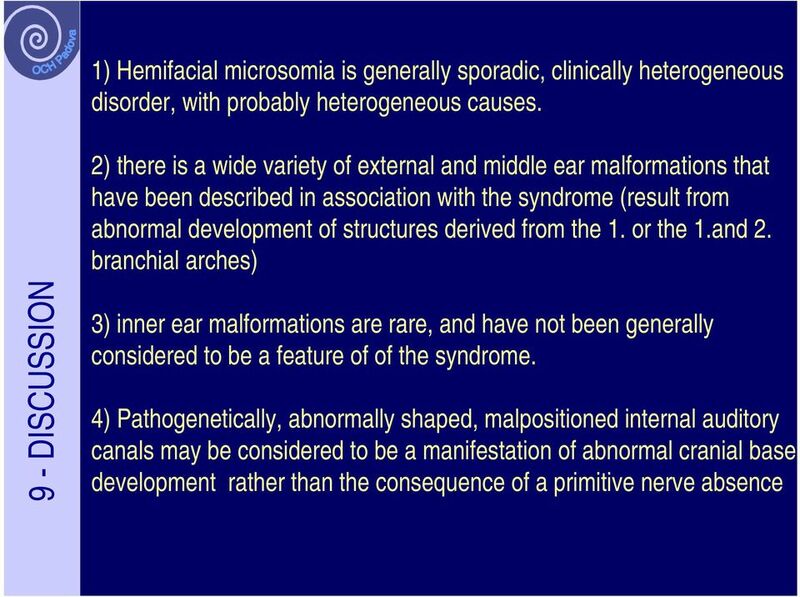 While there is no agreement on the minimal diagnostic criteria, the facial phenotype is characteristic when enough manifestation are present. 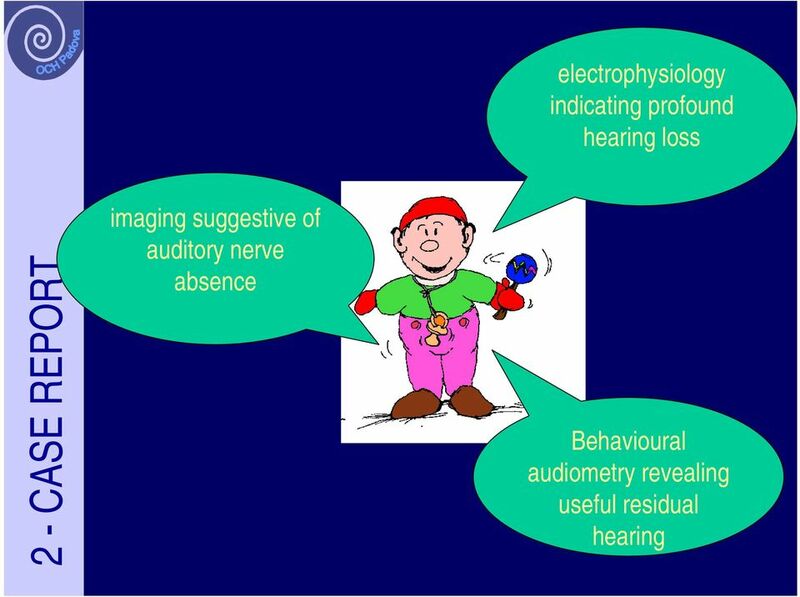 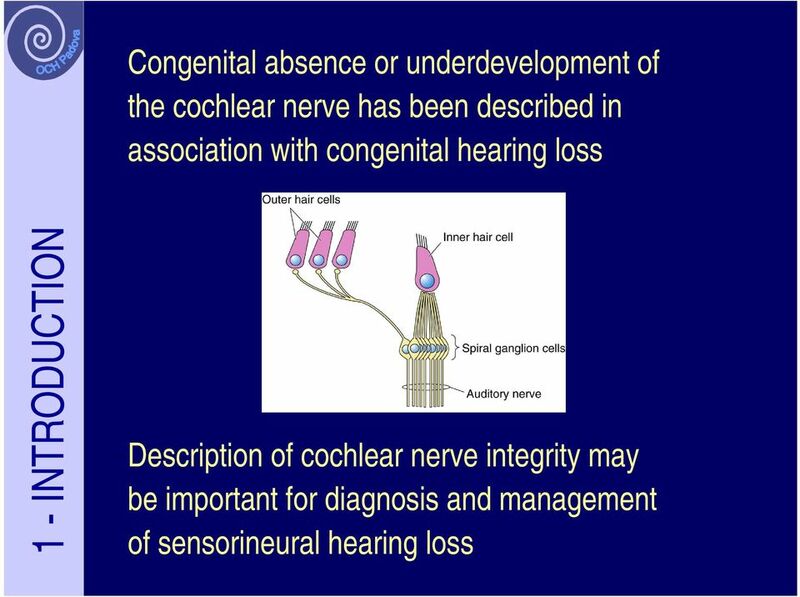 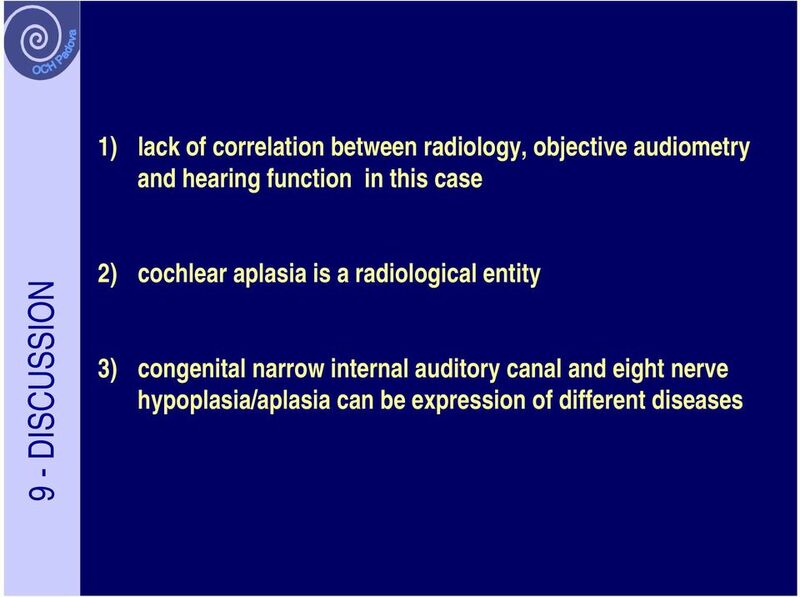 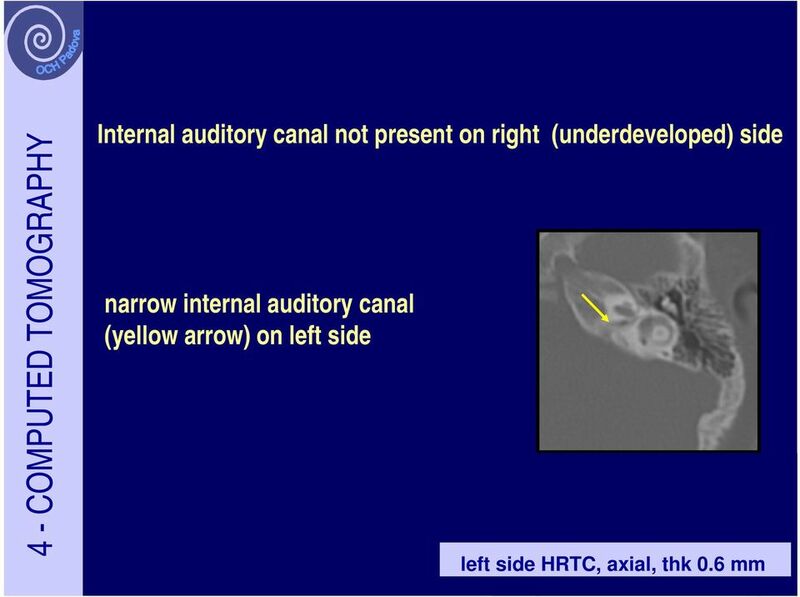 16 1) clinical features of cochleovestibular nerve aplasia/hypoplasya/dysplasia need to be investigated 10 - CONCLUSION 2) there is a lack of clear correlation between imaging, clinical findings and hearing function evaluations in some cases. 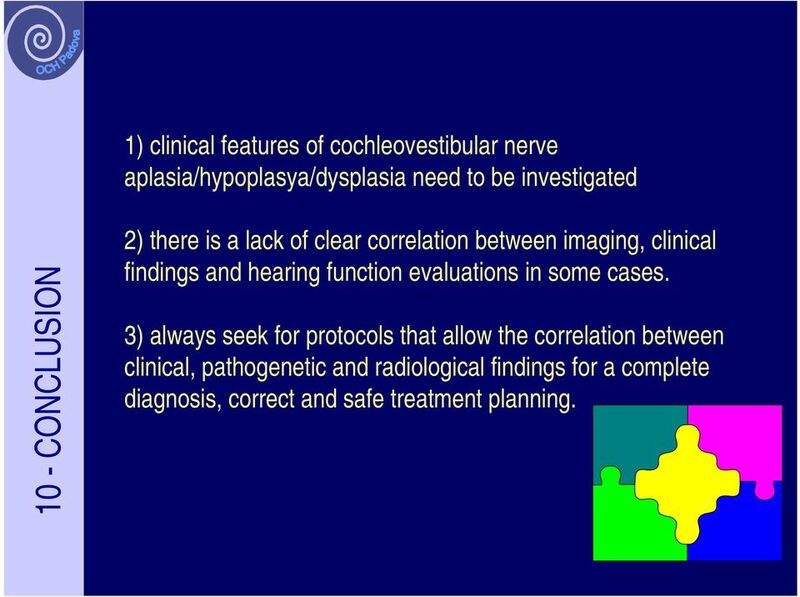 3) always seek for protocols that allow the correlation between clinical, pathogenetic and radiological findings for a complete diagnosis, correct and safe treatment planning. 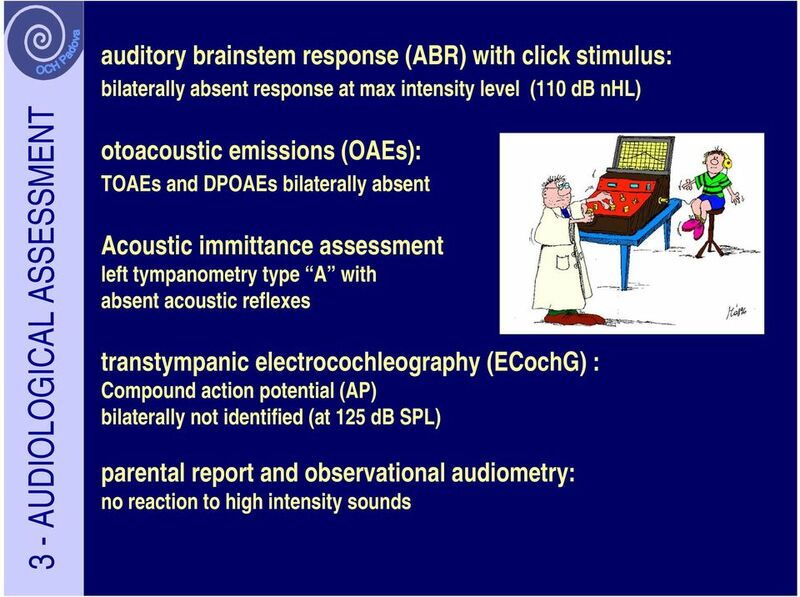 THE EARS IN CHARGE FOR THE PHYSICIAN Sandra L.H. 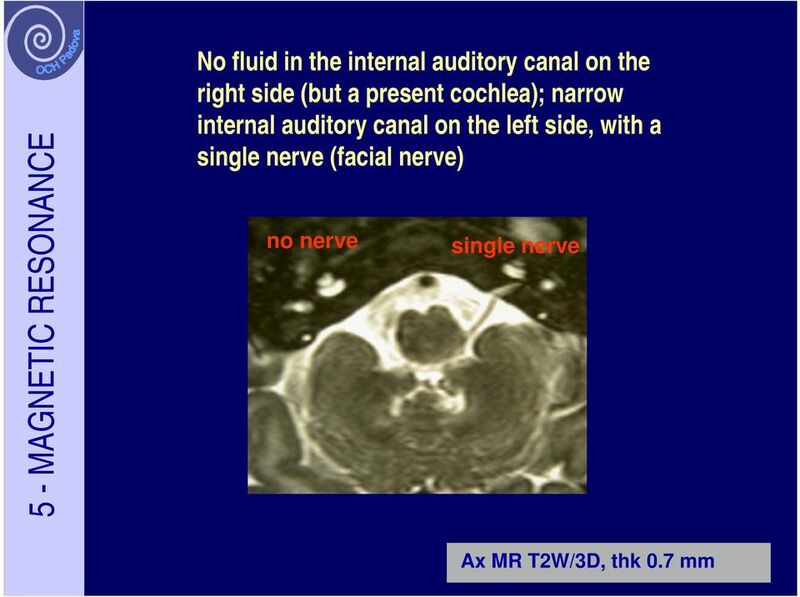 Davenport, M.D. 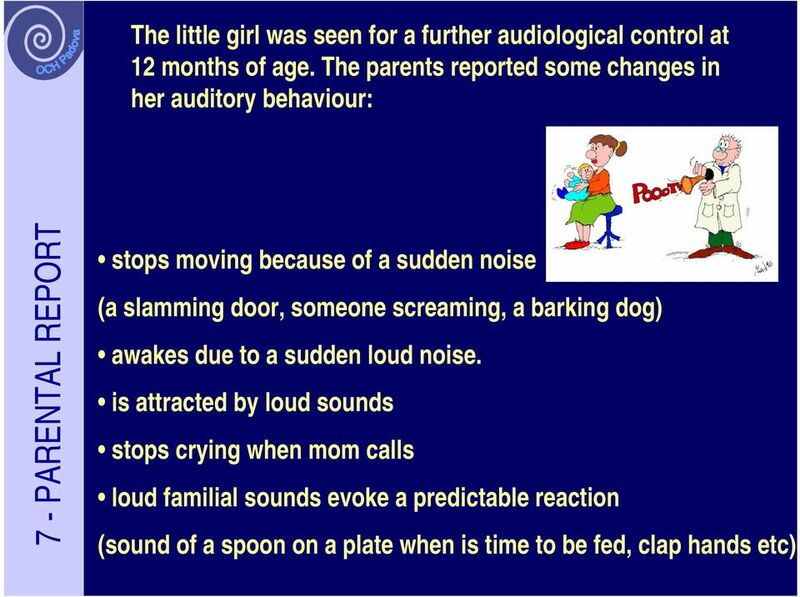 SensoryGenetic/Neuro-development, 5801 Southwood Drive, Bloomington MN 55437-1739 952-831-5522 slhdaven@tc.umn.edu Udayan K. Shah, M.D. 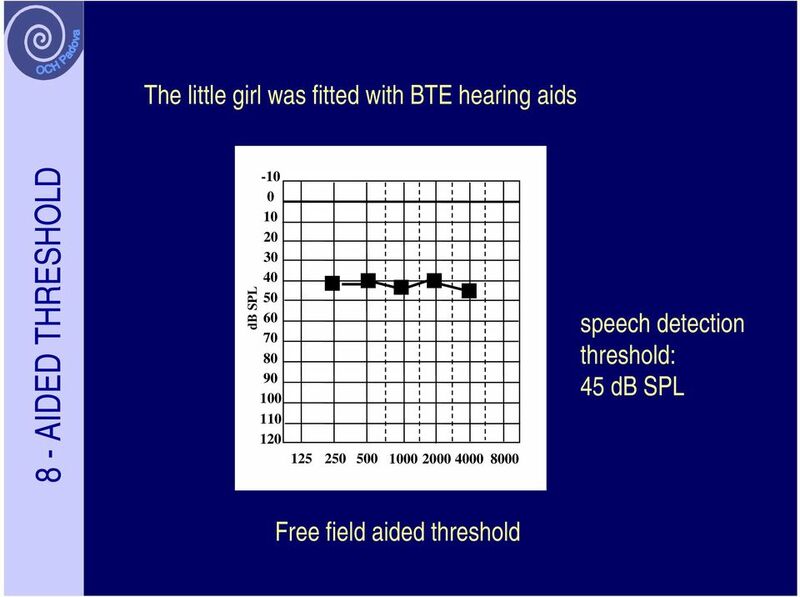 Hearing Loss The Types and Treatment Options AUTHOR PAGE: Margaret was awarded a Doctor of Philosophy degree in Human Development and Communication Disorders from the University of Texas at Dallas in 1996. 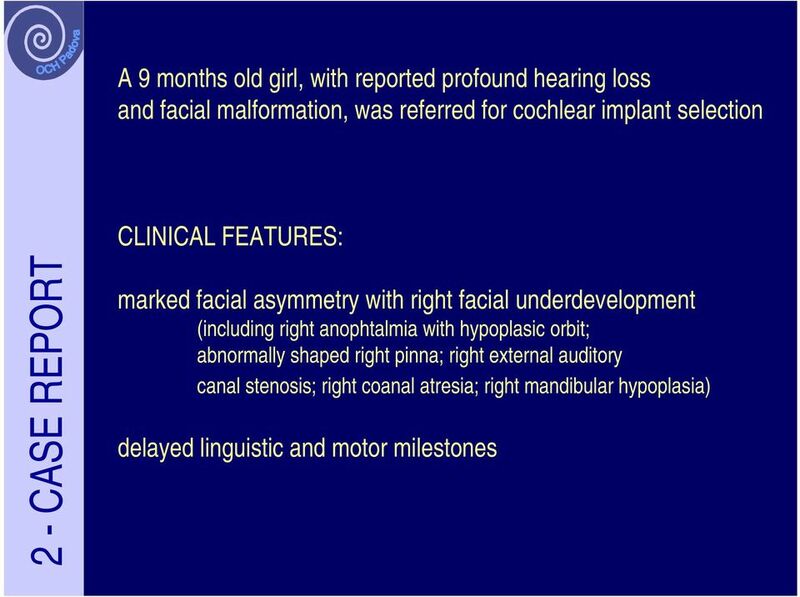 Implantable Bone Conduction Clinical Coverage Policy No: 1A-36 Hearing Aids (BAHA) Amended Date: October 1, 2015.